It has been eighteen years since my parents moved our family to Uganda. That’s a whole young adult’s life. I remember the months of preparation, vaccinations and goodbyes. I still feel the shivers I had the night before we actually left because everything started to become so real. I recall the smells, the faces, the places we saw when we first landed in our new home. The sound of “Mzungu, Mzungu” will forever be ringing in my ear and heart. A whole young adult’s life of memories. We have moved back to Germany and struggled with the pains of re-entry. I have changed houses many more times, graduated from school and university, found a job, tried to settle down. Eighteen years ago I became a TCK and no matter how much I have become accustomed to the German way of doing things, I am still a person who is caught between the worlds and often lost between cultures. I yearn for a stable place to settle down and truly belong while googling flight prices and hearing that Fernweh call deep inside of me. I wonder where all the time has gone and mourn the people, places and things I had to let go of. I long to return to the places I still call home, to discover the parts of myself I have left behind there all these years ago. What are your early TCK memories? How do you use your TCK experience today? One of the ‘perks’ of being a missionary kid is the travel during furlough. Well, ‘perks’ in this case might be ironic because it’s not really fun, especially not as a kid. You travel from church to youth group to ladies’ breakfast to small group meeting and talk about your work as a missionary in some remote place. And the kids are shown around like a trophy or support the ‘performance’ with a funny story. Tons of people look at you and talk to you as if they were your best friends. They know so much about you, you don’t even remember their names. And all of them are very, very excited about what God is doing in Africa. Because that’s what missions is all about, right? Going to a foreign country to share the gospel. I think this is the first things that comes to a lot of people’s minds when they hear missions. It’s not here, it’s somewhere out there. It’s with people of a different country, language, faith. So you either have to pack your bags and go, or you make sure you support a few missionaries while you earn your money at home. It has been six years since I came home from South Africa. Six years without being a missionary kid or missionary myself. But does that mean I have not done missions? We’re not all called to go to different countries, but we are all called to be witnesses. To share the gospel with our lives. With our weaknesses and failures. With our successes and joys. We are called to stand beside those who are alone. Walk with those who struggle along the way. Listen to those who have no one to talk to. Bless someone in small ways. We can all do missions right here and right now. Because it is not our job to save the world. We are called to see. See what the Lord is already doing and join him in His mission. Then missionary stories and excitement will no longer just be other people’s stories, they will be our lives. Linking up with Five Minute Friday today. Congrats to Kate Motaung for one year of hosting! My passport expired a few months ago, and since I’m about to go traveling again I needed to get a new one. When the lady at city hall asked for my old passport I was startled. Did she want to take it away? It left me wondering, Why do I care so much about this little booklet? Among TCKs there’s a joke that the most valuable book you’ll ever possess is your passport. This little booklet tells stories. Stories of travels to foreign countries. Stories of adventures in unknown cultures. Memories of people, smells, and food so different from who you are. Like the story when we were stuck at the airport in Entebbe/Uganda for hours because the officer wouldn’t accept our residence permits. We didn’t want to pay the customary “fee” (we would call it a bribe), so he made us wait in this unknown country. Our work and lives for the next two years would depend on this little piece of paper. When he finally let us go after lots of questions, it felt like a relief and the stamp of entry like a triumph. Like the story when we traveled to Tanzania, a 10-12 hour bus ride. Crossing the border was a matter of hours again because the border patrol enjoyed talking to the only Mzungus (white people) on the bus in the middle of African bush land. Only when they were sure my dad was Jesus (because of his beard and longish hair), they let us pass, and we had a new stamp in our passports to remember this trip. These stamps are not just stamps on a piece of paper. They serve as a conduit to our memories. breath-taking sunsets come to mind when I flip through the pages of this little booklet. Many pages are filled with visas, but in between there are also a few surprises. Like the entry stamp of Abu Dhabi I had not intended to get. My flight to Johannesburg, South Africa was delayed, so I had an extra night to spend in this desert metropole. At immigration I was searched by a completely covered-up woman, which felt intimidating since she asked me to take off my clothes. As soon as I left the nicely cooled airport a heat wave hit me and made my clothes stick to my body. The cab passed by simple white houses in the desert, the skyscrapers downtown looming in the background. I was taken to a hotel which could’ve easily been the scene of a Persian fairytale and met some friendly fellow travelers. The Arab letters in my passport remind me of my first encounter with the Oriental culture, even though it was just a peek. To get a visa or entry stamp from the US is quite a journey which starts a few months before actual departure, when you go to the embassy, wait a few hours, and endure security protocol. Just to get a five minute interview in which you state that you definitely don’t want to emigrate to the US or have a secret fiancé there. The long line at the airport and a suspiciously looking border patrol officer in Charlotte, NC almost seemed like a piece of cake afterwards. Just like photo albums they take us back to adventures and memories of the past. An invaluable treasure you don’t want to give up. And yet, I guess that many TCKs might agree that their passports can be a burden for them sometimes. This little booklet doesn’t just tell what you experienced, but also who you are. Your place of birth, your family name, your nationality. You’re a citizen of country x. You belong to the people of y. What if my heart doesn’t match what it says on that paper? What if my soul is lost in the beauty of Africa, the hospitality and openness of people with a different skin color? The allegiance of my heart cannot be described by one single country code. I am German and yet I’m not. I feel African, but so many things drive me crazy about it. I’m a mix of everything, which sometimes feels like nothing. My passport reminds me of this cultural conflict I find myself in, this search for a sense of belonging, a sense of myself, a home. After a bit of paperwork the lady at city hall handed me back my passport. With “expired” written across the page in bold letters. 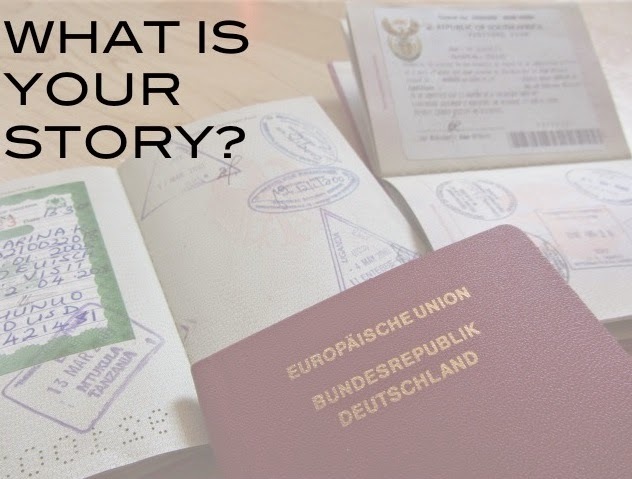 Even though my old passport has expired, my stories are not. Because I’m still here to treasure and tell them. A few weeks later I got my new passport – many more pages to fill with new experiences. 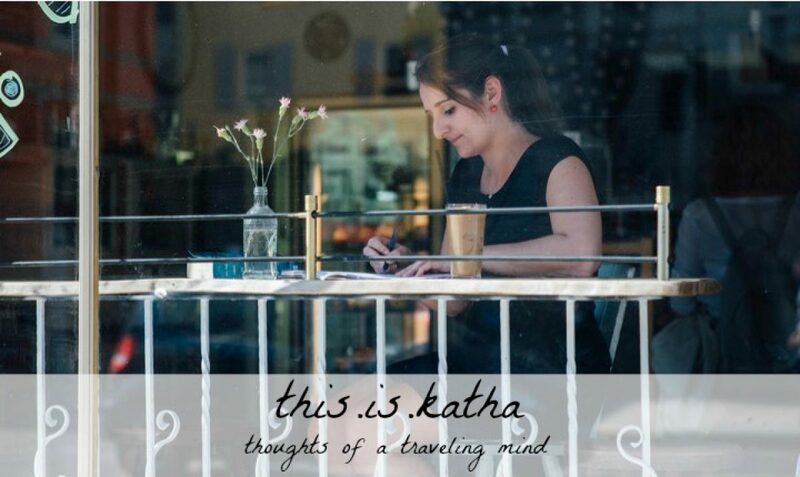 It’s the last Friday of October and as usual, I am linking up with Kate Motaung and a fantastic writer community. It’s also the last day of October, which means it’s Day 31 of the 31 Days in the Life of a TCK series! You made it to the end, yay! If you’re just starting now, you can find more info on the series here. Don’t forget to subscribe! We went to see the animals at Lake Victoria. We went to sit at the beach. We went for dinner at a nearby hotel. It all seemed unreal. Our last day in Uganda. And finally, finally we went to the airport. I watched my parents check us in, drop off our luggage, say goodbye to friends and teammates. And then we walked down to the gates. I felt like in a trance. This was happening, but not to me. We were just dropping someone off and tonight I would sleep in my bed in our house in beautiful Namutamba and everything would be alright. It was already dark outside when we walked onto the airfield and towards the plane. The tender summer breeze brought the smell from the Lake and you could see the lights glitter on the water’s surface. We boarded the plane, had layovers in Nairobi and Amsterdam, and then we were home. I didn’t realize what had happened to me until a week later. I asked my mom when we’d be going back, but she said, “We’re not going back. And I hadn’t even said goodbye. I am not a cryer normally. Which doesn’t mean I am not sad. For all the friends I hadn’t hugged one last time. For my best friend who I had left the day before as if I didn’t know we wouldn’t meet again the next day. For the village I had called my home. For all the memories I had made there and would never be able to repeat. For the piece of my heart I had left in the Pearl of Africa, Uganda. I have had to leave quite a few other places since then. My family, South Africa, my teenage years, the US, university. Familiar faces, cozy houses, a certain lifestyle. Dreams of how my life should look like, dear relationships, broken hopes. I’m sure if you added your losses we’d get an entire novel together. Make sure you say goodbye. You never know if you’ll have the chance again. Crying is a way to cleanse the soul and I have come to appreciate my tears sometimes. After the tears have ceased, another feeling wells up inside of me: thankfulness. My heart is overwhelmed with deep gratitude. For the beautiful places I got to live in. For the amazing people I had the privilege of meeting and who continue to be in my life. For the sweet memories I could make and can now hold on to. For God, who continues to walk with me and already knows where I’m heading to next. Well, and now I am leaving this series. THANK YOU for staying with me on this journey, for your comments and thoughts, all your encouragement! What did you learn in the course of this series? It’s Day 25 of the 31 Days in the Life of a TCK series! Welcome! You can find more info on the series here. Don’t forget to subscribe! When I graduated from high school I knew I wanted to go abroad again. I wasn’t really sure what to study and somehow the wide world out there seemed to draw me so much more than a German university. The door I had waited to open for years. The door I had been pounding on in dark phases of homesickness, yearning to go back to Uganda. But now it was different. Being so close to going “home” and living the dream all over again seemed scary and overwhelming out of a sudden. Well, back then I guess I couldn’t really explain it. Now I have studied quite a bit, grown a bit older, and wrote my MA thesis on nostalgia. 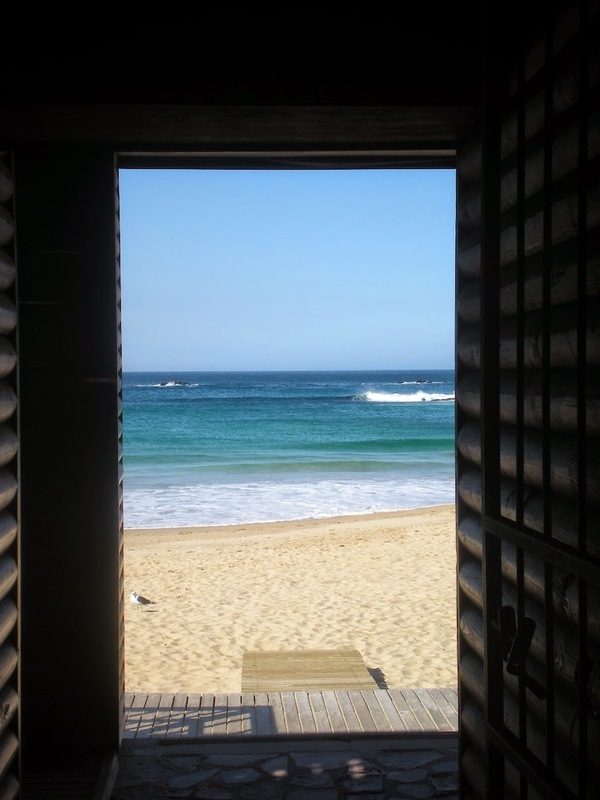 Looking back at past times, homes, friends…and leaving them there. Saving a frozen perfect image of the past in your head, holding it close to your heart to warm yourself whenever the seemingly cold present seems to strangle you. So when I look back I see the green nature surrounding our house. The endless trips we took into the rain forest. I hear the laughter of my friends. But my heart seems to leave out the moments of loneliness and despair. It doesn’t remember the spiders and roaches, the power cuts, or any other negative memory. Nostalgic looking back is filtered. Back then I wasn’t ready to let this bubble of perfection I had made up in my mind burst. I wanted to preserve Uganda in the positive way I had put it together. Now I think a little different. I am not saying we should give up nostalgia altogether. The missing part and longing for people/places/past emotions might always be there. But it shouldn’t shape how we remember and create a fake image of something that could never exist that way. We might have to let some of our bubbles burst. Maybe visit the place where we grew up to refine our picture and strengthen the good memories. This is a topic dear to my heart and I researched quite a bit on it for my MA thesis. Some short excerpts and findings you can read here or here. If you have any questions, let me know. Would love to hear your thoughts on this! 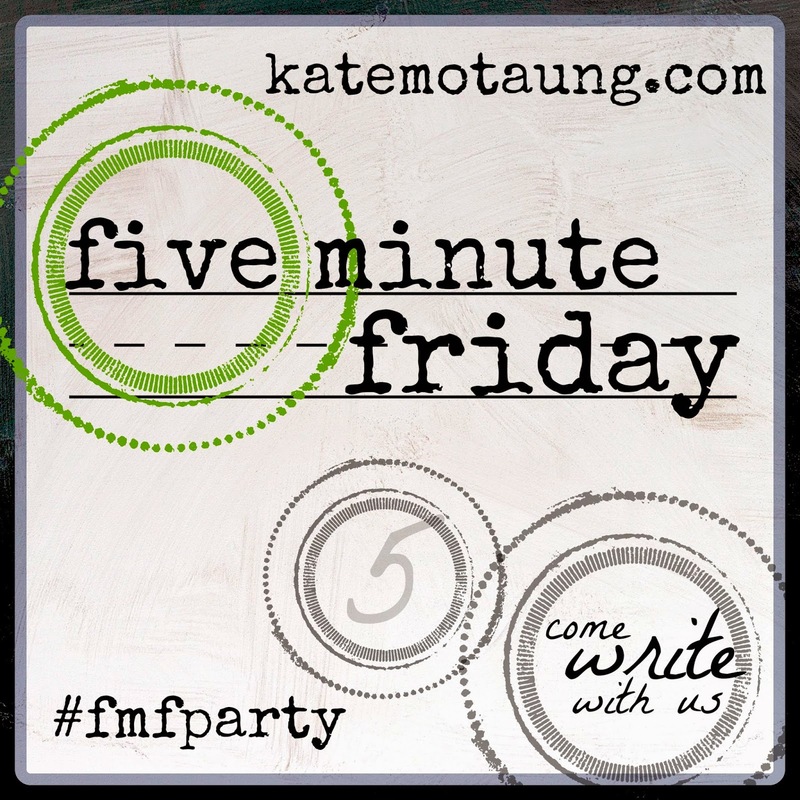 It’s another Friday, so I am linking up with the writer community at Kate Motaung‘s place. This post is part 17 of the series “31 Days in the Life of a TCK”. Come join the whole conversation here. Don’t forget to subscribe! I remember my grandma saying things like that when we first told her we would be moving South. She came from a little village and hadn’t gone further than the European boarders, so she was terrified. Terrified to lose her children and grandchildren to heat, sickness, or lions. She was terrified because she didn’t know. Africa was a long way for her. But we went. All the long 8000 km to beautiful Uganda. In these two years we had maybe 3 phone conversations (it was before the highspeed internet and smartphone age) with us walking around in the garden to get reception and screaming: “You there? Can you hear me? Merry Christmas, Grandma!” and the signal broke off. Uganda is a long way. Fortunately, we had a visitor one day who brought a video camera, so we shot a film for grandma, showing her everything in this new home of ours. The way we lived, the GREEN grass (Uganda is close to the equator and pretty green in rain season), the people we had come to love. Suddenly, Uganda isn’t such a long way after all. Long distances can become very small if we know how to bridge them well. I am not saying the kilometers magically disappear. And trust me, as soon as I hang up on a skype conversation I feel the distance more than ever before. But thank God for so many ways to make the long distances come closer to us. To allow the world to reach us where we are. Having the world close to us can have its challenges as well – stay tuned for this part tomorrow! How did/do you experience distances in your life? Any funny stories to tell?